24C01 EEPROM 128x8bit DIP8 -STM I.C. 24C02 EEPROM DIP8 -ATMEL I.C. 24C02-WMN6P EEPROM 256Kx8bit SO8 I.C. 24C04 EEPROM DIP8 -ATMEL I.C. 24C04 EEPROM SO8 -ATMEL I.C. 24C08 EEPROM 1Kx8bit DIP8 ATMEL I.C. 24C16 EEPROM 2Kx8bit DIP8 -STM I.C. 24C32 EEPROM 8x4K DIP8 -STM I.C. 24C64-WBN6P EEPROM DIP8 -STM I.C. 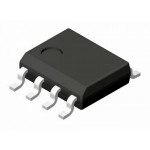 24LC04B-I/SN EEPROM SO8 -MOTOROLA I.C. 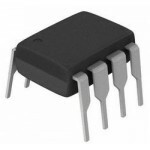 24LC08B EEPROM DIP8 MICROCHIP I.C.